Looking to update your wardrobe for the fast-approaching holiday season? 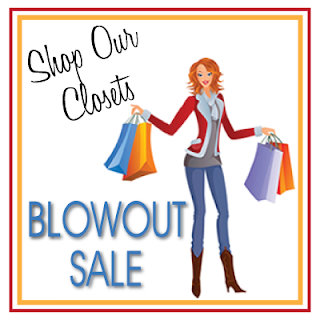 Come steal some style for a fraction of the price at our blowout sale this Saturday, November 20th, from 9:00 – 11:00 AM in the downstairs of the Shiloh Life Center. Meg’s making room for baby (literally) and Tiffany’s making room for perhaps some new gifts from Santa, so we’ve got to get rid of our excess stuff! We’ve invited a few of our stylish friends to share their treasures with you as well, so this is an opportunity you don’t want to miss. From Coach bags to designer denim to Gap tees and Mossimo sweaters, there’s stuff for every style, size and taste, and all priced to sell FAST. Even items new with tags! Enjoy coffee and delicious baked goods as you browse the selection and score style for a steal. See you there!